At Healthcare for Women in Oak Park & North Riverside, Dr. Lyndon Taylor has treated many women in Chicago, Illinois who have suffered from fibroids. 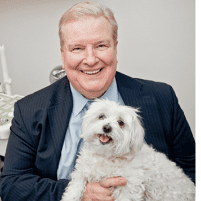 Regarded by many of his patients as one of the city's leading fibroids specialists, he is familiar with the latest diagnostic tools and treatment options for fibroids. Uterine fibroids are benign (non-cancerous) tumors that grow on the uterine wall. They can range in size, being anywhere from as small as a coin to as large as a melon. They also can grow on either side of the uterine wall. Many women develop fibroids during their child-bearing years. Fibroids are sometimes called myomas or fibromyomas. No one knows precisely what causes fibroids, but researchers do know that hormonal changes can cause them to grow. 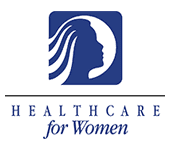 Specifically, elevated levels of estrogen and progesterone can make fibroids grow quickly. This is why women sometimes develop fibroids during pregnancy, when hormonal levels are high. Uterine fibroids are often first discovered by OB/GYNs during regular pelvic exams by feeling an abnormality. When an OB/GYN thinks a patient has fibroids, either because they felt a strange bump or for other reasons, they may order a test to confirm their suspicions. Ultrasound and lab tests are the most common tests used. When these are inconclusive an MRI, hysterosonography, hysterosalpingography, or hysteroscopy may be necessary. How Are Uterine Fibroids Treated? There are many different treatment options used to treat uterine fibroids. In some cases, doctors may simply recommend waiting to see whether fibroids shrink on their own. They often do during menopause, when hormonal levels change. When treatment is necessary, OB/GYNs might recommend using medication, such as gonadotropin-releasing hormone agonists or a progestin-releasing IUD to adjust hormonal levels. In severe cases an abdominal myomectomy or laparoscopic hysterectomy may be necessary. While most fibroids are benign, 1 of 430 of these patients will have a leiomyosarcoma or other cancer that could not be predicted preoperatively.